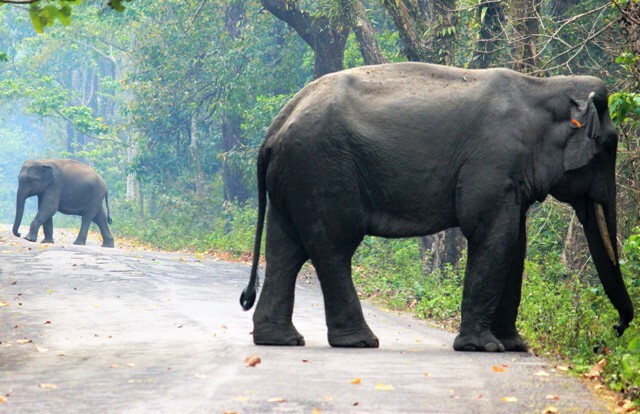 Right of Passage: A research and community awareness initiative to secure the elephant corridors and mitigate Human-Elephant Interaction, Mayurjharna Elephant Reserve, India. In the last ten years, the population of Asian elephants in the Mayurjharna Elephant Reserve (MER) in West Bengal, has increased by 90%. Great news? Unfortunately not. The reserve is just 400km2, with a 1,400km2 buffer zone. And as elephant numbers increase they’ve come into ever more conflict with the local community, with tragic consequences. Between 2013 and 2014, 37 people lost their lives in Human Elephant Conflict (HEC) incidents. A further 57 people were injured, 4000 hectares of crops have been lost, 1,000 huts destroyed and three elephants killed. The situation is critical. A solution must be found to ensure that conflict is prevented and no more lives are lost. Anthropogenic pressure in the area means that elephant migration corridors have been lost or degraded. Repeated retaliatory action by villagers continues to lead to a high loss of elephants too – in January 2016 five elephants were killed by electrocution. Samya Basu is working with PTES funds to address the major problems in the region. He is leading an ‘Emergency Initiative’ to carry out more intensive research and capacity building in high ‘conflict’ prone zones. His team will develop a comprehensive plan for Human-Elephant interaction management in these ‘High conflict zones’. Samya and his team will map the Asian elephants’ migration routes, and the key population regions to develop distribution and interface zone maps. This will help to create a calendar of seasonal movement of elephants which will be used to work with the villagers to develop a strategy for agricultural planning and protection. Work at the Elephant Reserve Research Station also enables and encourages volunteers and interns carrying out research, maintain the database, monitor HEC and promote alternative forms of livelihood. Working with local stakeholders and government agencies, as well as the villagers, means Samya and his team are hopeful that this participatory approach to conservation will reduce the conflict in the near future.